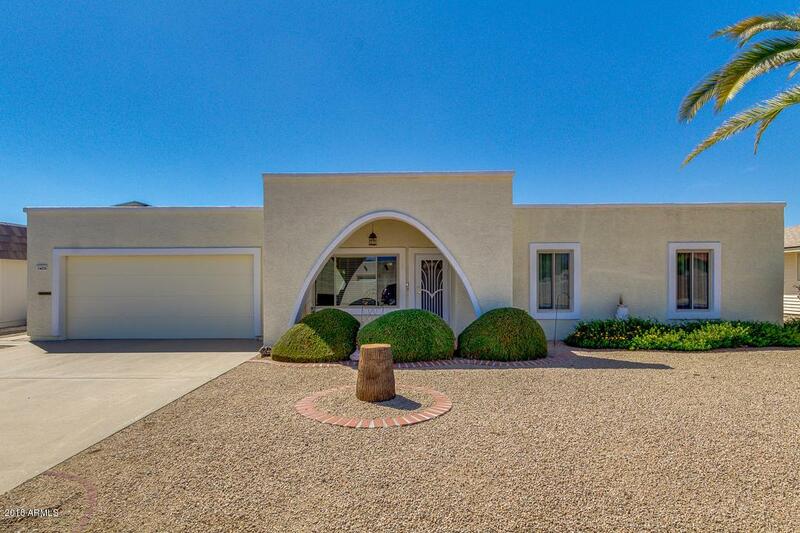 HUGE PRICE REDUCTION***Remodel***OWNED SOLAR PANELS***Open Concept with 3 bed, 2 bath Beautifully Updated Property located in Sun City! 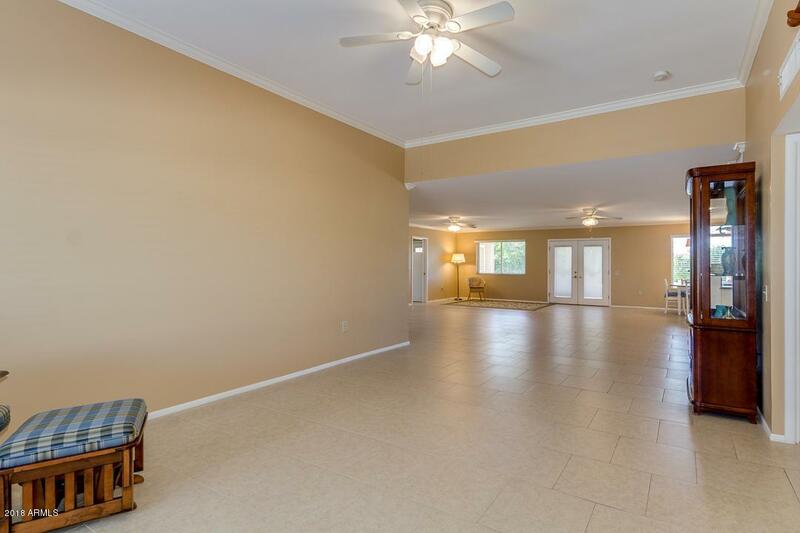 Neutral Paint, Ceiling Fans throughout, Crown Molding in all the right areas. The Elegant Kitchen is equipped with ample self closing Cabinetry, Large Pantry, matching Appliances, and a Charming island complete with a Breakfast Bar. Master Bedroom offers updated Bath w/large Walk-in Shower, his/her Sinks, 2 Spacious Walk-in Closets and a Private Entry. 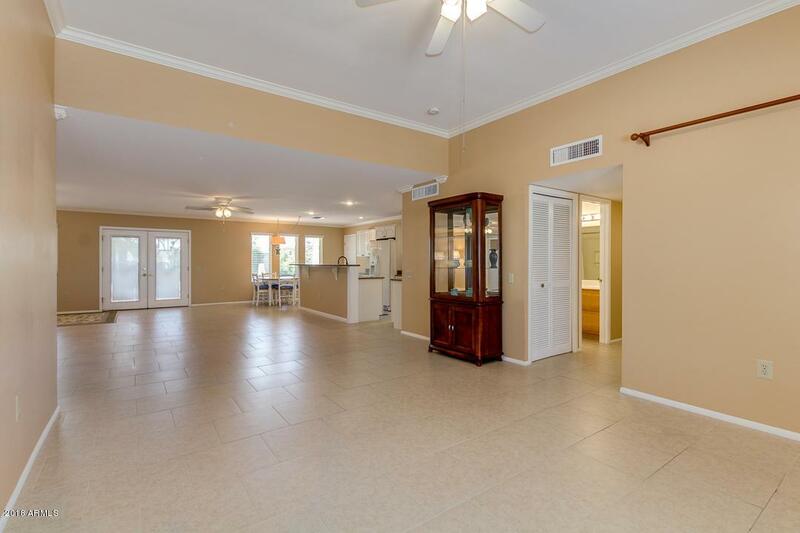 Large Inside Laundry Room w/built in Cabinets and ample room for additional Storage or Hobby Room. 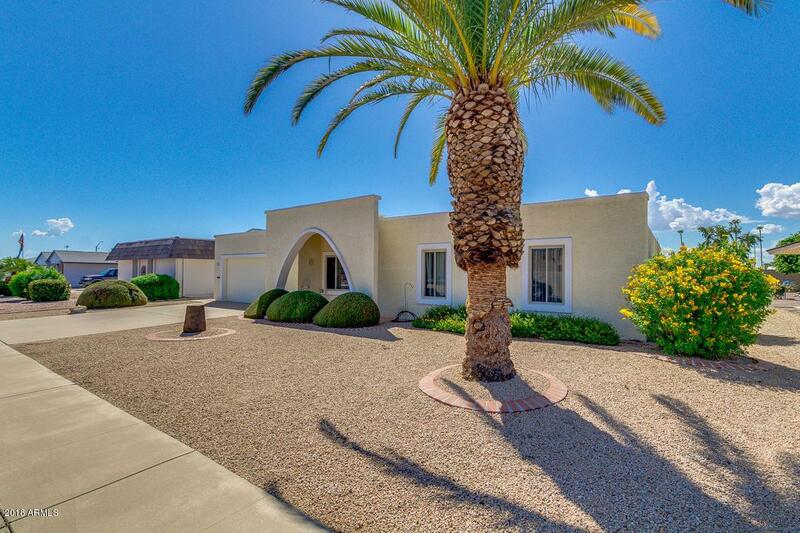 This Home is extremely well maintained and offers PAID for SOLAR SYSTEM! !